Barcelona: The technology used by Chinese tech giant Huawei has threats related to the security, senior US officials claimed. The European countries have realised that the warning issued by the United States regarding it, is real. The European countries have agreed to cooperate with the United States, if threats exist in the infrastructural facilities, in these countries. The international ‘Mobile World Congress’ is being held in Barcelona, and all the leading telecom companies are participating in the exhibition. It has been revealed that the discussions, during various programs organised on account of the conference, were centred around the security issues connected with smartphones and Huawei. Head of the Huawei, while dismissing the allegations made by the United States, asserted that the company was willing to cooperate with all the countries regarding the matter of security. 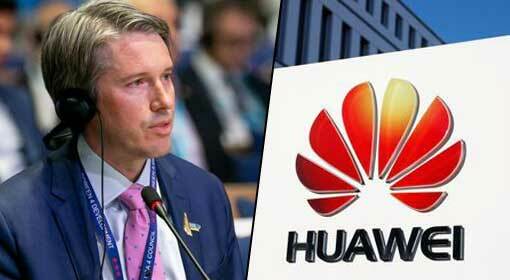 The Cyber and International Communication Ambassador from the US Department of State, Robert L. Strayer justified the apprehensions of the United States regarding the Huawei threat. At the same time, Strayer claimed that all the countries in the world had endorsed the stand adopted by the United States. Claiming Huawei to be connected with the ruling Chinese government, the United States had alleged Huawei of secretly transferring all the sensitive information to the Chinese government. US President Donald Trump has ordered action against the Chinese companies Huawei and ZTE. Leading British company BT also has declared that no cooperation will be taken from the Huawei for implementation of the 5G technology. The British intelligence agencies also have warned that the Chinese companies in the technology sector could pose a threat to British security. Czech Republic, Germany and many other major European countries also have indicated action against Huawei. Against this background, the statement of the US officials draws attention. The United States is trying to corner China using the Huawei and if the European countries support the move, the Chinese dream of increasing its influence at the international level will bite the dust. Therefore, the Chinese government is desperately trying to support Huawei and other Chinese companies.